const :- It has block level scoping but cannot change the value reference. 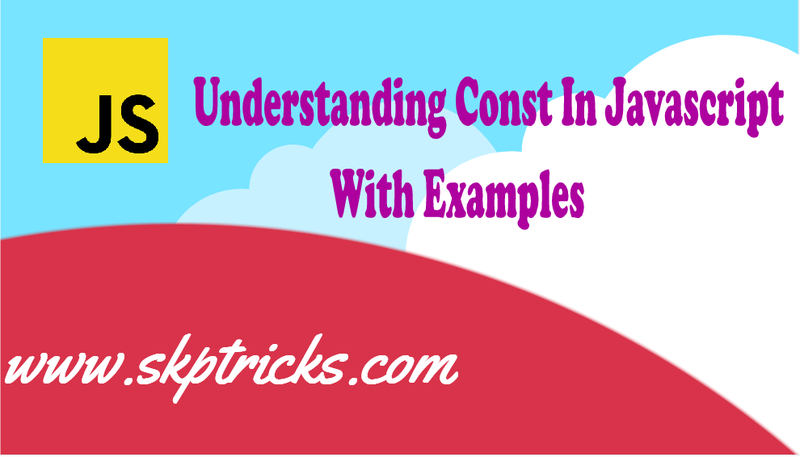 Variables defined with const behave like let variables, except they cannot be reassigned. we cannot change constant primitive values, but we can change the properties of constant objects. Error: Assignment to constant variable. Lets see the example for block scope using const keyword. Declaring a variable with const is similar to let when it comes to Block Scope. Just remember we can't not re-assign/change the const object. Just remember we can't not re-assign/change the const array .